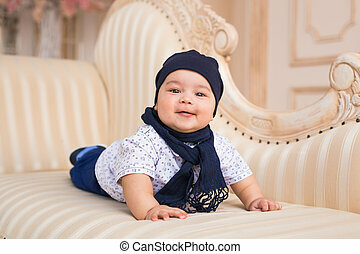 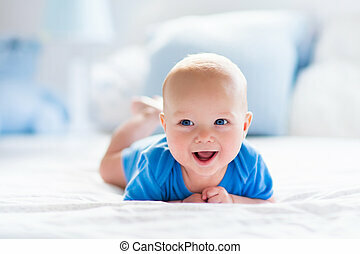 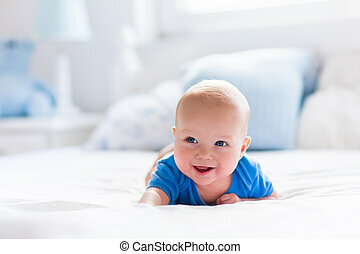 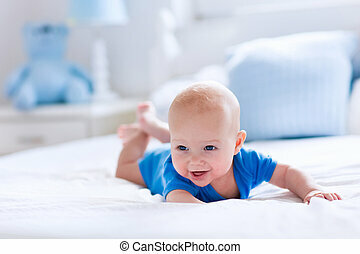 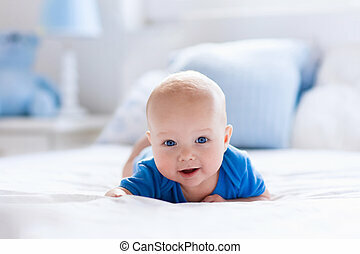 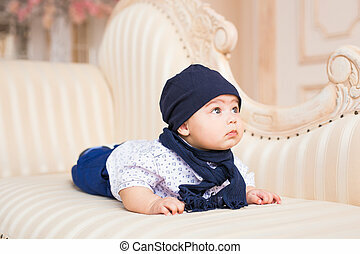 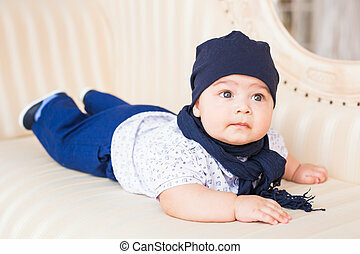 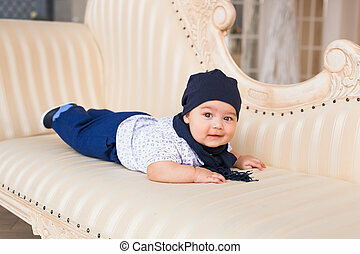 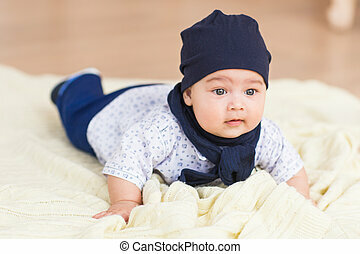 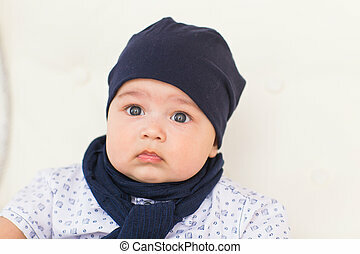 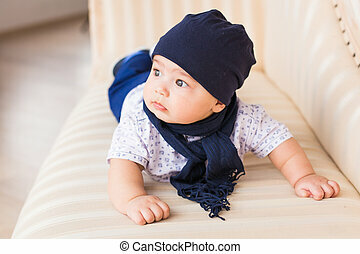 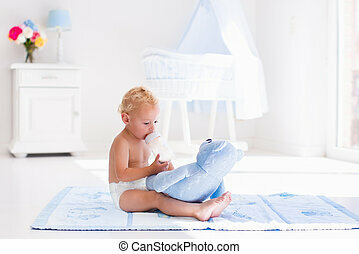 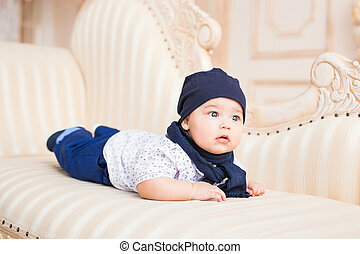 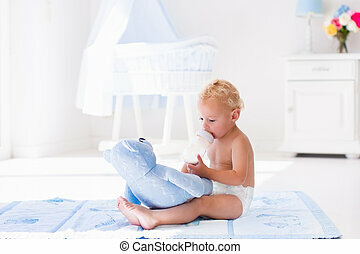 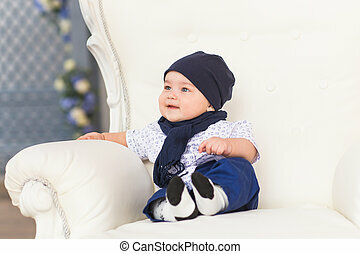 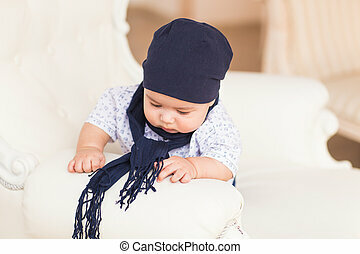 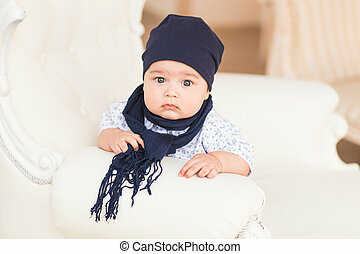 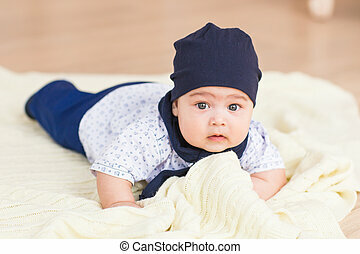 Adorable baby boy in white sunny bedroom. 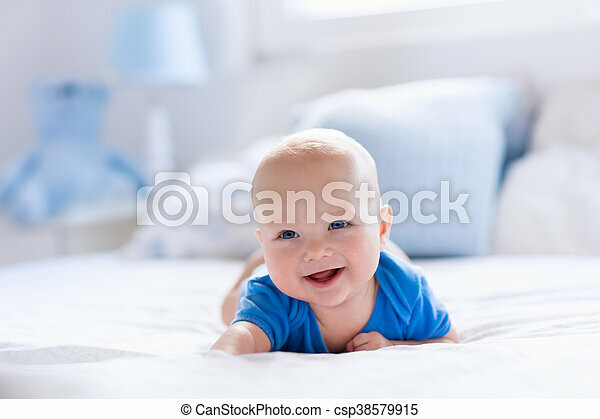 Newborn child relaxing in bed. 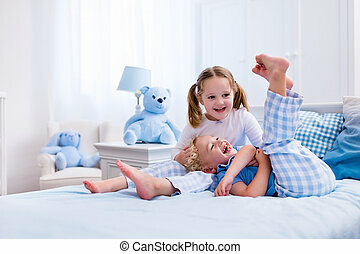 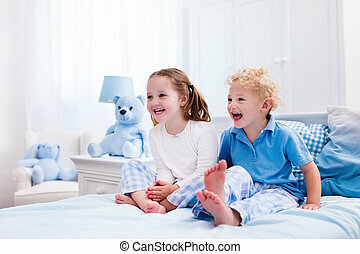 Happy kids playing in white bedroom. 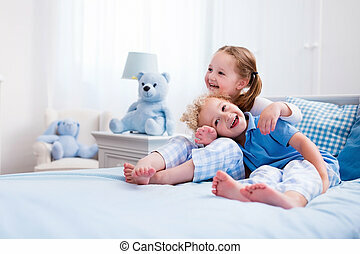 Little boy and girl, brother and sister play on the bed wearing pajamas. 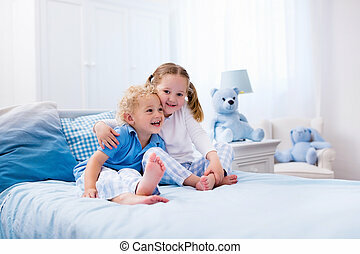 Nursery interior for children. 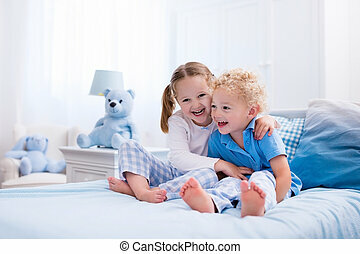 Nightwear and bedding for baby and toddler. 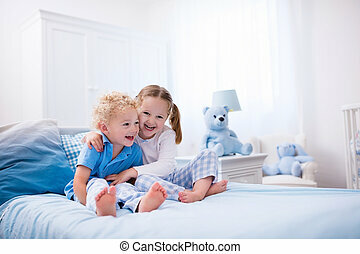 Family at home.